Home » Posts tagged "May Day"
May Day is the first of May, sometimes known as calens mai in Welsh. It is a day to welcome spring by “bringing in the May” (usually branches of May bush or Hawthorn in leaf) in the custom known as Maying. For the Irish, May 1 was the spring festival of Beltane. 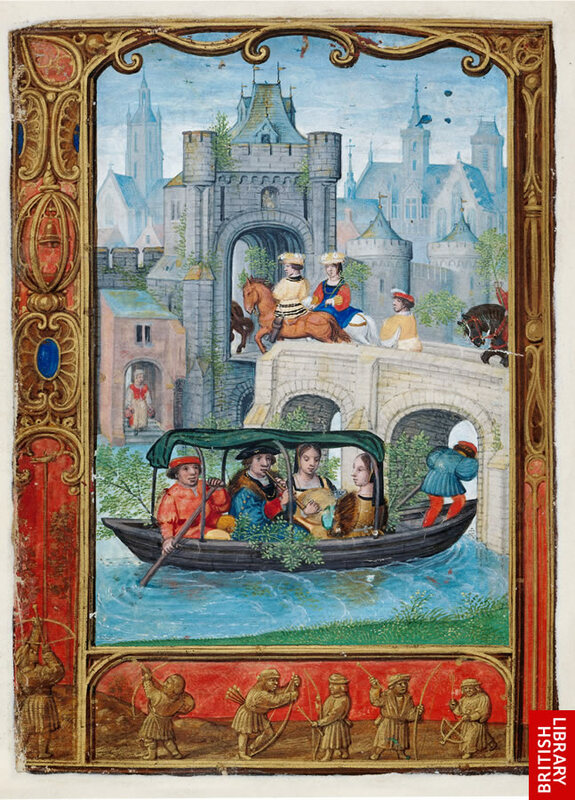 Maying is often featured in books of hours as a scene for the calendar illuminations for May. There were carols and ring-dances about May (see for instance Herrick’s poem “Corinna’s going a Maying”), and May Day is still celebrated in many European countries with May poles, May baskets, Maying, and yes, Morris dances and hobby-horses. The custom of declaring May 1 as a European “Labor Day” while probably good for the Worker’s Party is neither ancient nor Celtic.